InHomeSafetyGuide is one of the few medical alert system reviews sites that are both accredited by the BBB and work with a Google-approved verification company to ensure consumers understand who we are, the work that goes into providing this content, and ultimately help people make informed buying decisions when it comes to medical alert systems. We can always get better – at the bottom of this page we have a link to Trustpilot, share your experience of using InHomeSafetyGuide and we’ll give you an instant $5 Starbucks gift card as a thank-you. 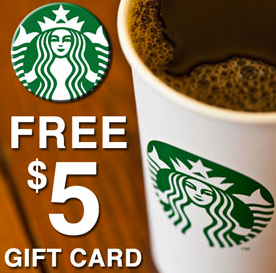 Leave us a Trustpilot review & get a FREE $5 Starbucks eGift Card! Note, if you click the Email button, you’ll receive an email from Trustpilot to validate your email address, to make sure that it’s you. 5) Once we confirm your review has been posted, we’ll email you your FREE $5 Starbucks eGift card within 48 hours! Offer good for one household only. Trustpilot will accept only ONE submission (review) from a household, even if you use a different email address.